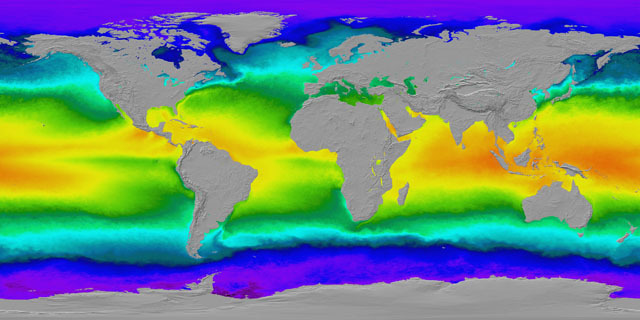 The sea surface temperature texture map was made using 26 bi-weekly datasets which were processed into a yearly average dataset. The temperature is relative to the average for that latitude, thus highlighting warm and cold currents. This new dataset was then blended with shaded terrain.